With a business model exceedingly beholden to advertisers, many media organizations feel they must rely on fishing in order to generate traffic and boost ad rates. Who are the fish? We the social media users, who gobble up all those bites of news and gossip that pass in front of our eyes as we swim through our feeds and streams. And what does the media use to catch these fish? 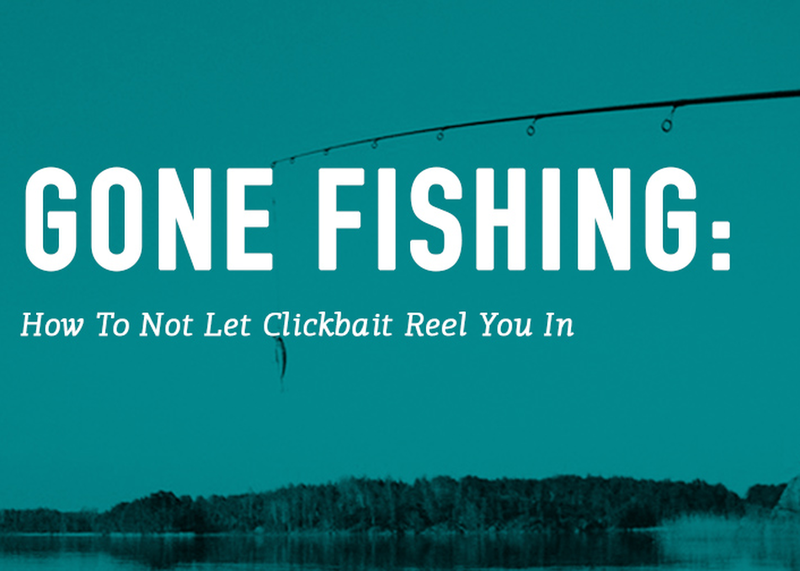 Clickbait: deceptive, disproportionate and disingenuous headlines, tweets and Facebook posts designed to reel us in. But a grassroots movement has sprouted up to push back against this fishiness, and some organizations have adopted strategies to earn clicks without resorting to nefarious tactics. Others. . . not so much.